This shirt can save a life. Consider purchasing the official Stop the Bleed t-shirt when you register for training. 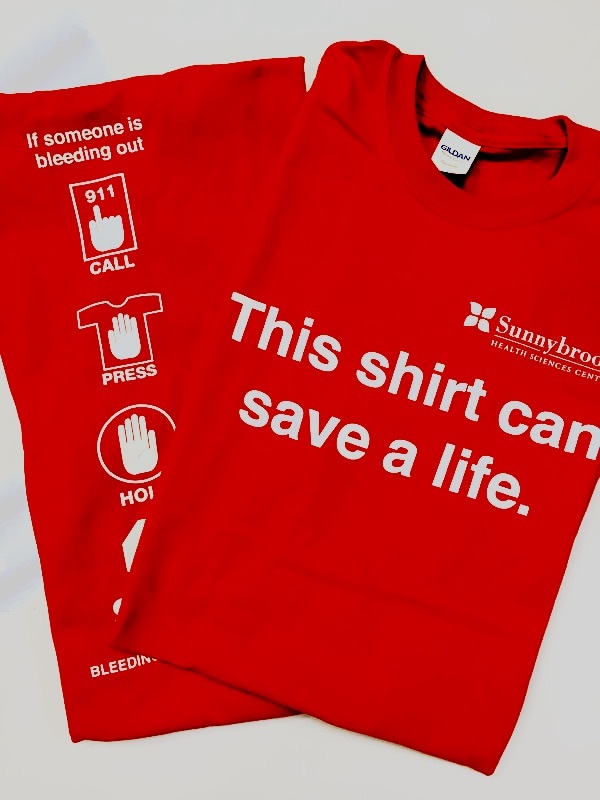 Learn in the course how this shirt can save a life.